These retail credit cards boast average annual percentage rates of 23.23%, according to a CreditCards.com analysis of cards from the 36 of the nation's biggest retailers. 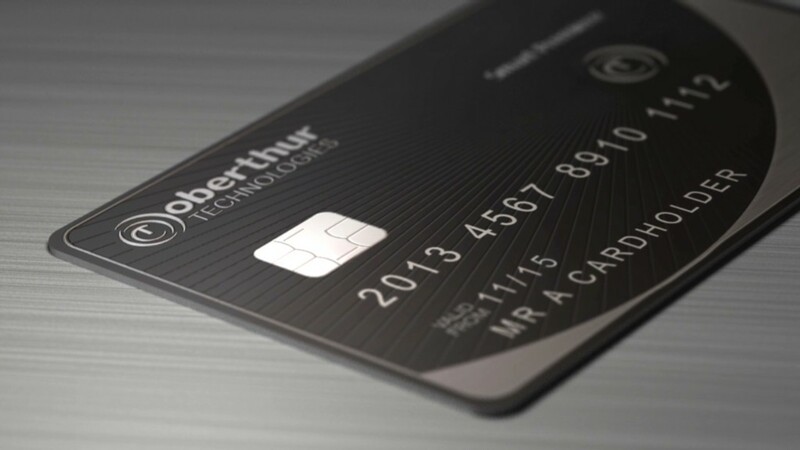 That's more than eight percentage points higher than the average credit card APR of 15.03%. "Retailers dangle incentives like 15% off a purchase to encourage consumers to sign up for their credit cards," said Matt Schulz, senior industry analyst at CreditCards.com. "[But] the much higher interest rates far outweigh the one-time discount for anyone who carries a balance." If you're confident you will never miss a payment and you think the retailer's rewards program would provide you with savings, then it could be a fine deal. But if there's even a small chance you'll carry a balance, you could end up paying big money in interest as a result. Customers with a 23.23% APR credit card, for example, would be hit with $840 in interest if they carry a $1,000 balance and only make minimum monthly payments -- and it would take them 73 months to repay the balance. That compares to $396 in interest for the average credit card. And some cards are much worse than others. 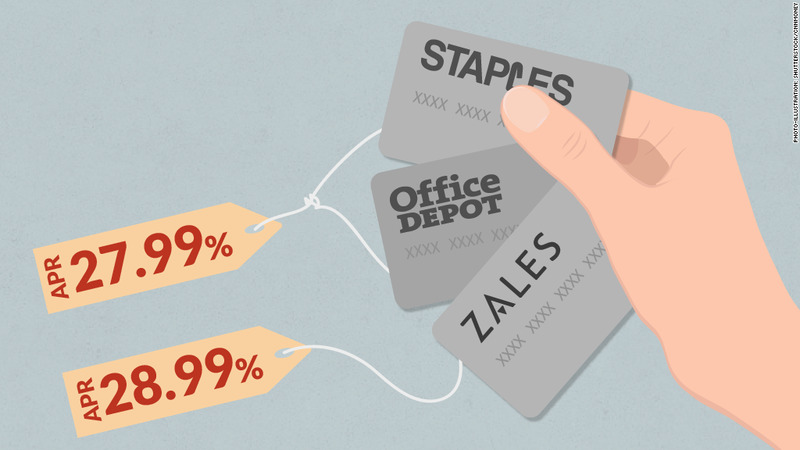 Jeweler Zales' store card topped the list, with a rate of up to 28.99%. Office Depot (ODP) and Staples (SPLS) both offer cards with rates as high as 27.99%, and Best Buy (BBY) credit cards come with rates ranging between 25.24% and 27.99% depending on your credit.